I got my first tattoo a month after my twenty-first birthday. I had been imagining it for six months and was ready. Or so I thought. Having had surgery earlier in the month, I didn’t anticipate the pain being much of a problem. As soon as my tattoo artist-friend’s needle touched down, however, I was writhing in agony. I yelled louder than the TV I was supposed to be distracted by and ended up shaking in a cold sweat. But the meaning of my tattoo wasn’t lost in those moments of concentrated pain. I focused on my tattoo’s story instead of the needle. Before I could even talk, I would look at Audubon bird guides for hours. When I started talking, I could name most of the birds. My grandfather and I used to play a game in which he’d name the species of a bird and I’d find it in the book. That’s how I decided I wanted a bird tattoo. My swallow perches on the back of my arm, above my left elbow. I catch sight of it sometimes in the mirror—a small, dark figure with wings spread open wide—and am reminded that home, and my family, are always nearer than I think. A lot of MHC women have stories like mine behind their ink. Traditions, reminders, and wishes are permanently recorded on their bodies, turning each inch of tattooed skin into a story and each body into a vehicle for a subversive form of visual storytelling. 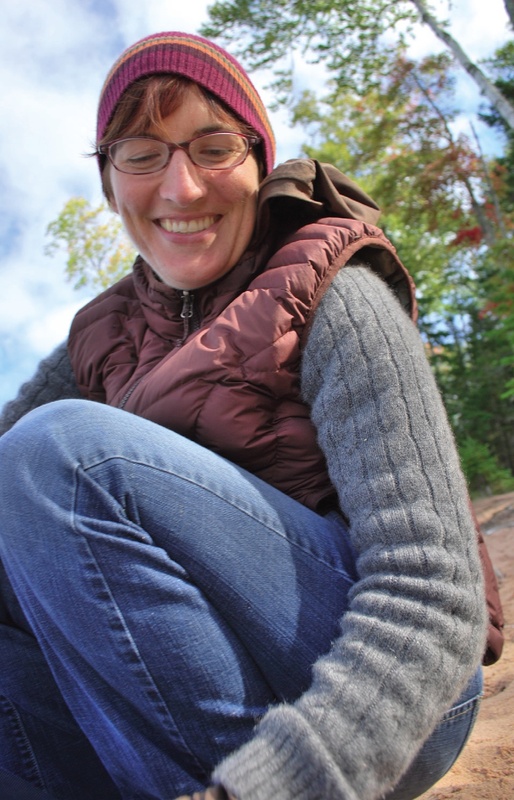 “Getting a tattoo is not something I thought I ever would do, but I decided to get one during my second year of law school,” says Carrie Ruzicka ’99 (above). “As any former or current law student can attest, law school is not a fun process. But I was not prepared to be so completely underwhelmed by the lack of vision and community that I experienced in law school. After losing one of her ovaries last year, Ryan Dorsey ’10 (above) had her roommate Caroline Heinbuch ’10 design a symbolic substitute ovary and fallopian tube. After the surgery, Dorsey was left with only one functioning ovary and the possibility that she might not be able to have children. “I began to wonder, ‘What does it mean to be a woman?’” Dorsey said. Twins Lauren (above, right) and Terry Orr ’10 (above, left) decided, along with their older sister Caitlin Orr ’08, to get the same tattoo. Caroline Heinbuch ’10 (above)had a self-designed symbol tattooed on her forearm this past spring. It incorporates her nickname, Caro, with male and female symbols. “I wanted a tattoo mixing the male and female symbols as a representation of the fluidity of sexuality and gender,” she explained. Bridgette Whitcomb ’09 (above) has Celtic, Hopi, and Lakota symbols tattooed on her lower back. “They are all symbols of family, fertility, or home,” she said. “I had these tattoos done to never forget to go back to the reservation. They remind me that I must go back to Pine Ridge.” Whitcomb spent six summers living on the Pine Ridge Indian Reservation in South Dakota, visiting friends and family. “Japanese culture is extremely interesting and intriguing to me,” says Amanda ’10 (above; last name withheld by request). Five kanji symbols are tattooed above her hip, representing youth, dream, strength, loyalty, and wind. “The five symbols represent me,” she said. 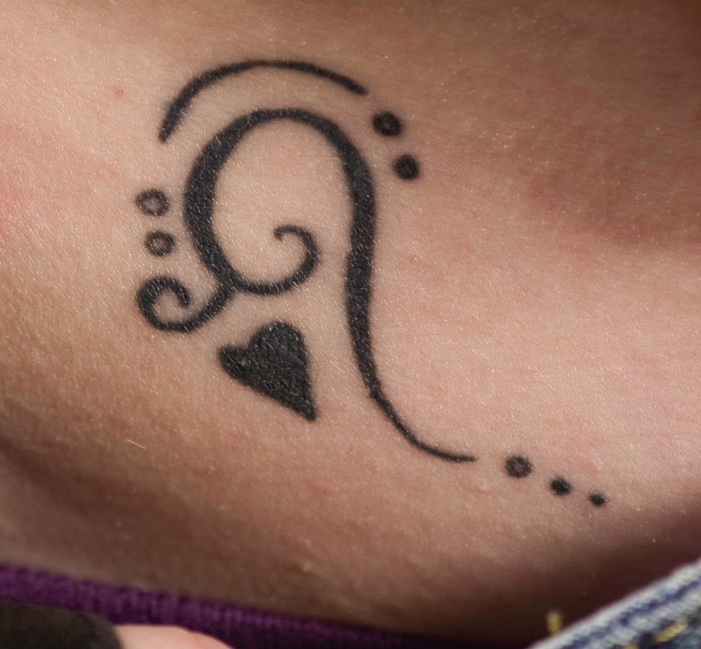 Margot Wade ’09 (above) had two Spanish phrases tattooed on her ribcage when she turned eighteen, part of coming to terms with her father’s death. 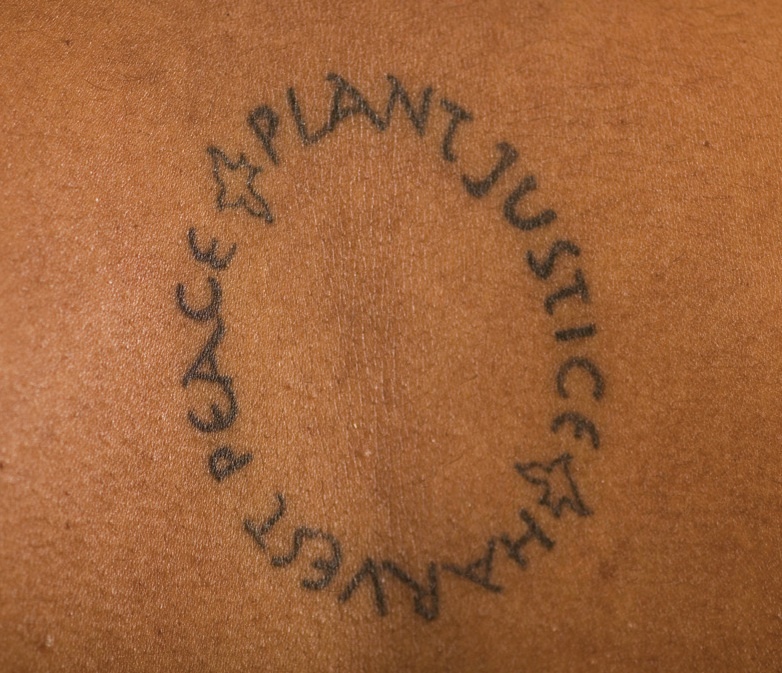 Translated, the text reads, “Because we are also what we have lost,” and “Detached from the vaults of Heaven and falls to the earth.” “I got my tattoo in Spanish to remind me not everything is lost in translation, that not everything is lost in the darkness,” she said. Lynn Tylec ’11 has two roses tattooed on top of her foot, along with the date of her grandmother’s passing. 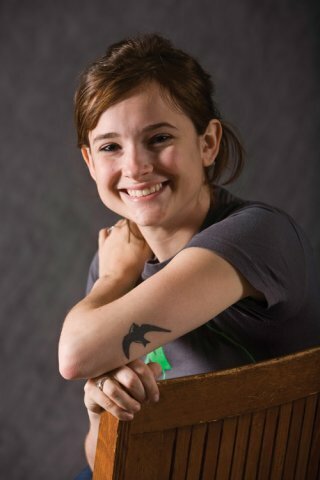 Caity Bryant ’11 (above)has a sketch of an apple tattooed on her wrist “because I want to be a teacher,” she said. Kylie McCormick ’08 chose to get tattoos (above) of one of her favorite subjects: dragons. The red “wyvern familiar” is on the back of her arm and shoulder. “I wanted a tattoo to represent the one kind of dragon that could actually be in existence today, which is a wyvern—two legged, two winged, no arms,” McCormick said. Abby Wall ’12 (above) had Kurt Vonnegut’s famous saying, “So it goes…” tattooed above her hip in honor of her uncle’s passing. 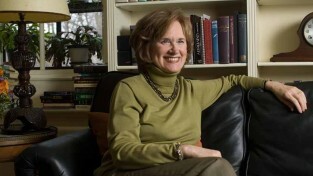 This article appeared in the spring 2009 issue of the Alumnae Quarterly. I love this post! 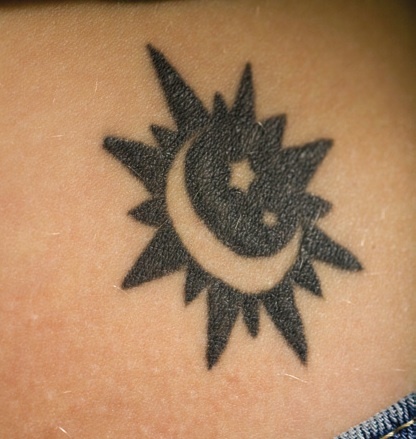 It represents absolutely everything I believe in. Tattoos are a mark of creativity and self-awareness. 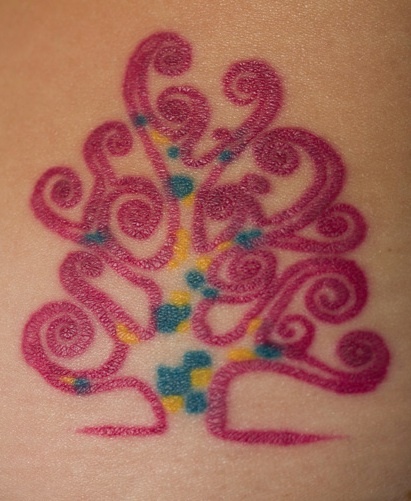 I’ve always thought of tattoos in the same vein as fashion…something intended for the young and fit. I doubt I’ll be wearing any of my MHC wardrobe when I’m 80, but you can’t change a tattoo. What will that skin art look like 50 years on and perhaps a little “looser”? 😉 I love that some “seasoned” alumnae chimed in but–with one exception–none of the women photographed have been out of college more than 5 years. The toe ring idea is great though! 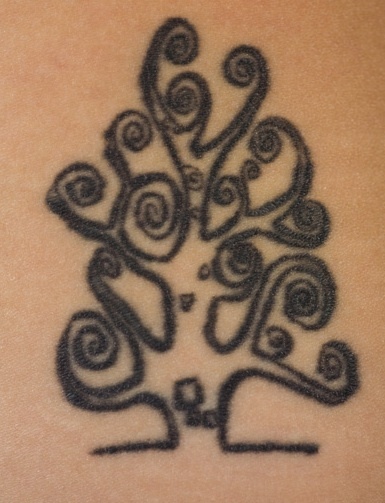 I got my first and only tattoo at the age of 46 when I got married for the first (and last) time. It’s on my ankle. It’s a rose called “Sterling Silver,” the most delicate shade of lavender, and it’s the flower I carried on our wedding day. Hurt like hell, but I love it. 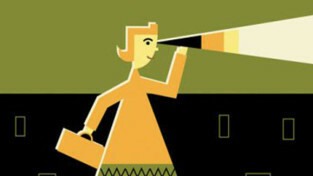 This post has offered insights into the life of different individuals. That is beautiful and thank you for this. is interesting as we try to differentiate ourselves from the others making us tattoos and we also want to be accepted by the same situation, of course there are people who look good with certain designs of tattoos. Cool Tattoos. I've never had the nerve to get one. Someday maybe before I die I'll get one. I really like the tribal stuff. My son has his whole back done. 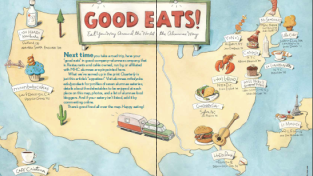 Beautiful work – Love the Margot Wade ’09 one! Very nice tattoo with good photo. Great tattoos! It the most interesting ones I have seen! To me, this really funny!!! I have never seen in my eyes anyone like those one in this. How can they feel when they accept to make themselves hurt to have tattoo? I can't stand suffering from this. Anyway, I think this belongs to a style and thus style itself can implies many unwritten things. I have got a ying yang tattoo on my right arm… I love it. It symbolizes Peace & energy. I have been wanting to get a tattoo, but do not know which design to get. Can someone help me here? I have been wanting to get a tattoo but I do not know which one to get. can someone help me here? The circular lettered one on the back that is so simple actually looks really nice on you. This was a real nice collection of live tattoos. Could make out what a design actually looks like on the skin though there isnt much difference. Also it tells something about the person. I'm impressed you had the guts to get tattoos!! Some of them look like they just hurttt! I am very much in love with the tatto that I have on my right shoulder, it’s a symbol of a community in my region, just love it. I have always wanted a tatoo. But my fatheer will not allow me. That tatoo of ovary and fallopian tube, i like it very much. It was worth the pain though when it was completed, I had it done in the memory of my Grand Dad, glad to see so many expressions being expressed in the form of tattoos. Interesting post about tattoo, good work. Looking forward to have my tattoo soon. I am getting ready to get my phoenix tattoo next week. I have yet to get a tattoo just as you had mentioned. I think after reading these stories, I have to find a special need for a tattoo. I do however like the tattoo on the hip, as it can be hidden quite easily. Sweet! It reminds when I got my first Tattoo, I was really nervous and heard that it really hurt and back it it hurt a lot more than it does now. It was worth the pain though when it was completed, I had it done in the memory of my Grand Dad, glad to see so many expressions being expressed in the form of tattoos. Those are some really nice tattoos. I really like the Red Dragon one, looks really cool, makes me want to get one myself. All the tattoos were really nice and symbolic, great job Hannah. I love tatoos because it looks good in the skin specially if you have white complexion. 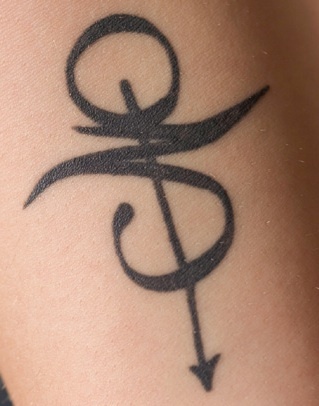 I want to have one but i choose not have it because i am afraid of needles. LOL! 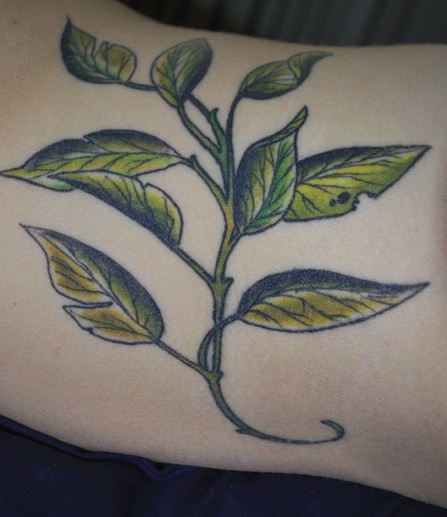 Anyway, i like the Lynn Tylec ’11 two roses tatoo. For my eightieth birthday I presented myself with a tattoo for no particular reason except as a recent denizen of hospitals I wanted to be sure I was better identified than with a plastic wrist band. It is on my left wrist, easily hidden by a wide bracelet when my age group might be startled . It has two colors ( the inks now are quite handsome) Sky blue and coral= Red for my Aries sun , blue for my Pisces moon sign. The shape is a flower with seven petals in the blue for my biofeedback number and a seven pointed center in the red.. Nothing more fun than designing it myself with the help of an adorable young man. I would find plenty of company on campus! After a trip to French Polynesia in 2004, I knew I wanted one; the question was “where”? At my age,most of the favorite places (upper arms, belly, rump, thigh) are no longer “out there” . Then I remembered one of the natives with a tattooed wedding ring. Aha! A toe ring! And that’s what I have today.